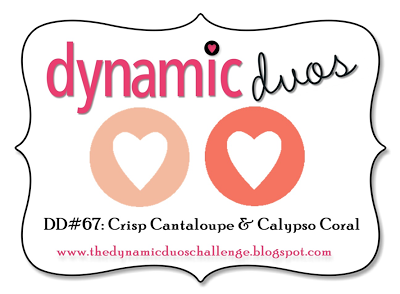 We've got a sweet monochromatic color combo for you this week at Dynamic Duos #67 challenge. Oh, I had fun with this challenge! I told you, didn't I? Sweet. I used two neutrals with this combo...kraft and very vanilla. I chose to do some collage stamping this week. I pulled out my long-neglected French Script background stamp (yes, again) for this card and inked it up with Crumb Cake ink. Then I layered on a variety of images in our challenge colors. Um...yes. Love these colors. A lot. Anyway, I popped up a couple of layers with foam tape to finish my card. Done! I hope you'll play along with us this week. We love seeing how everyone uses our colors! Now, pop on over and see what my team mates created for you. :o) Here is the link. Love the collage that you created Susie! Great job on the collage Susie. I like how most of it is layered in one corner, so eye-catching! Susie your collage card is so beautiful! Beautiful! I love that this has a lot of detail but still retains an elegant clean-ness!